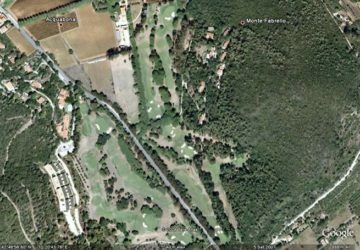 It's a hilly course with a panoramic view half-way between Portoferraio and Porto Azzurro, near the intersection to Lacona, in beautiful surroundings which Elba offers to the many visitors. 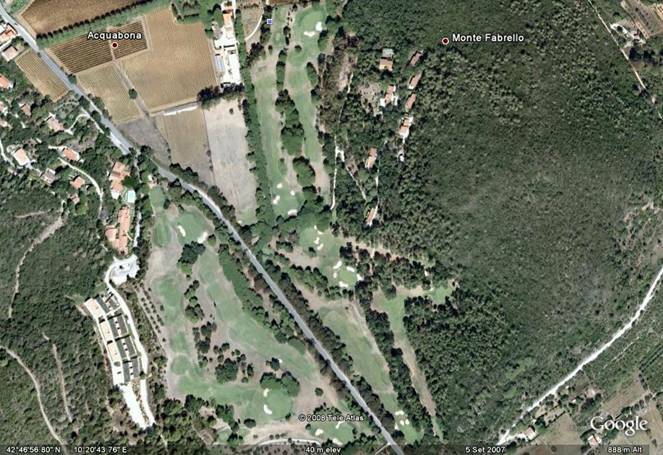 Its is a nine-holes course with double starting ground, and measure 5,144 meters - Par 68. 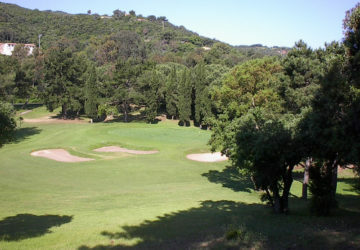 The most interesting hole is number 2 (Par 3, meters 197). Downhill and always with a cross-wind. The out-of-bounds (o.b.) run along the right up to 40 mts. from the green and to the rear constituted by the main road. Three sand bunkers are ready to stop the low-flopped shots. Difficult the hole number 8: dog-legged to the right, uphill against the wind, with out-of-bounds to the right and three rows of eucalyptus which prevent a recovery of mistaken shots. 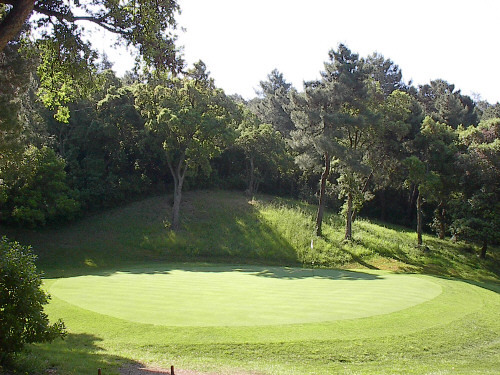 The green has a slight slope, relatively narrow, protected at the front by three large bunkers. 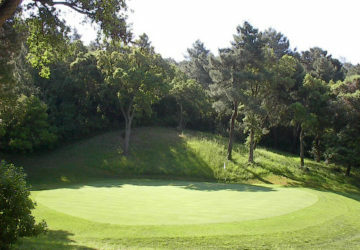 A fourth bunker is situated to the right of the green. Very penalizing the shot to the green for who hits the right edge. Here you can move out-of-bounds. The whole course winds its way between oak pines and eucalyptus. 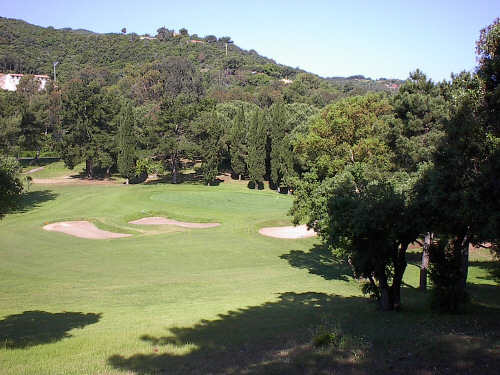 The scent in the air, the silence, the birds of Elba's Natural Park, the view of the gulf and also inland, makes it a frame for a game which presents itself interesting and at the same time committing.